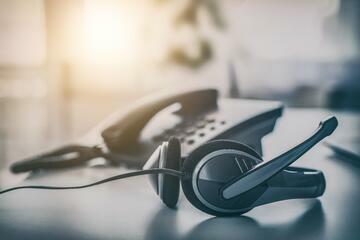 Managing a call center is no easy task. There are a lot of moving parts, and they all have to come together to deliver profitability for the company and an excellent experience for customers, no matter the reason for their contact. Fortunately, it can be done — and done well. Ultimately, companies must decide if it is best to continue working to upgrade in-house call center management or outsource the work to a third-party professional resource. Whether your company is new to call center management or looking to increase the contact center’s performance, this guide is a must-read. It is filled with practical, leading-edge information and insights to start using right away. 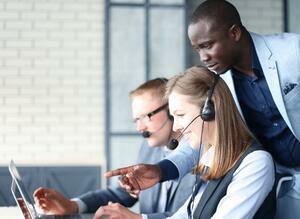 What is Call Center Workforce Management? Chapter 1: What is Call Center Workforce Management? Call center workforce management is the process of ensuring that the right, properly-skilled people are in place to serve customers when needed. Call centers are more complex than other types of workplaces because customer service reps serve both sides of the business — the company and callers. Whether you call your front line staff “agents”, “customer care specialists” or “customer service representatives (CSRs)” does not matter. 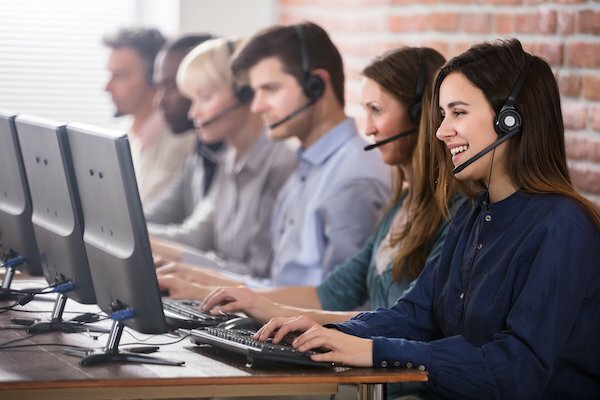 Likewise, while many of us still refer to the facility as a “call center,” we all know that customers use multiple channels to contact companies with questions, complaints, or to place orders. 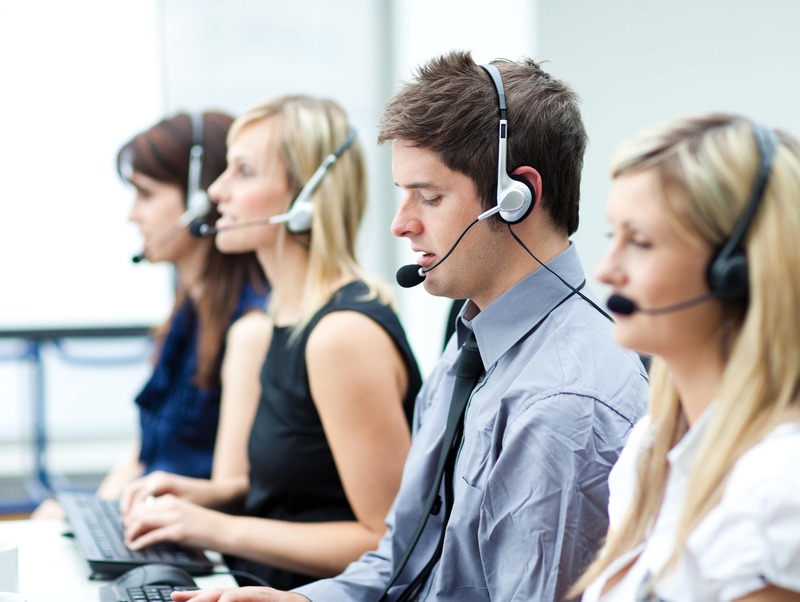 One of the biggest challenges in call center management is managing the team of CSRs. Turnover is a serious problem throughout the industry — costly in terms of performance, company and customer satisfaction, not to mention expenses directly related to repeated hiring and training. HR can be an even tougher challenge for internal operations. Because HR managers serve all departments, it is difficult for them to be call center recruiting specialists. This is one reason outsourcing can be a distinct advantage over maintaining an in-house contact center. Not everyone is destined for success as a customer service rep. It takes technology skills, detailed knowledge about products and policies, a friendly demeanor and desire to help others, and enough self-confidence to remain resilient and positive when dealing with difficult customers. Agents are typically a customer’s first (and perhaps only) direct contact with the company/brand, which is why it is so important to hire the right people from the start. Hiring mistakes can be costly to your business. Look for candidates who are good communicators and resourceful problem-solvers, even under pressure. And, bear in mind that you can teach skills and knowledge, but attitude comes from within. How many agents do you need to handle your volume? Find out with our free Workforce Calculator. In today’s fiercely competitive labor market, filling positions with the right people requires creativity and persistence. Keep at it even when there are no current openings, because having a backup pool of candidates can save you if a last-minute need arises. Make full use of social media platforms your most desirable prospects use. Post about jobs, but post about company and workplace culture, too. Ask your best CSRs for referrals. Be the company people want to work for. Offer the best wages, benefits, and working environment you can. Use both skills and behavioral assessment testing. Include a few top CSRs as co-interviewers. The key is to create a recruitment and assessment process that will consistently identify the best candidates. 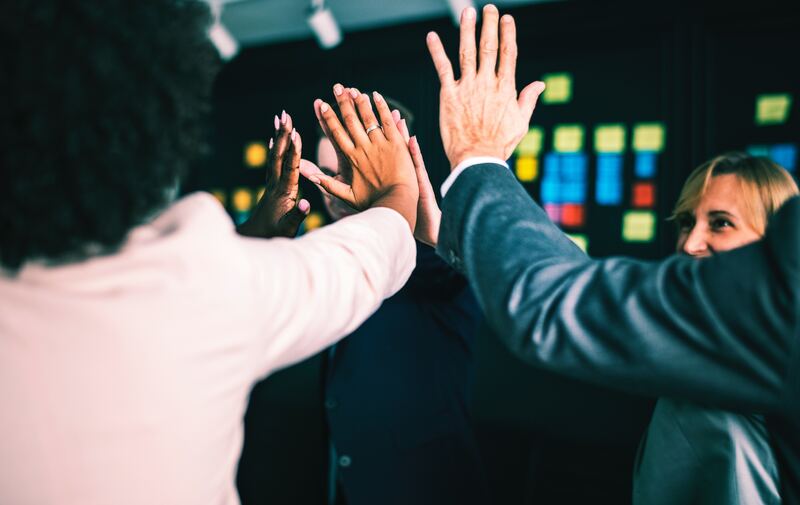 Watch and listen as Cyndi McDurmott, VP of Human Resources here at The Connection®, describes our process for building a great team. We recommend taking your time during the hiring process. A rushed process could lead to hiring the wrong person for the job. And hiring the wrong person is always more expensive, in time and money. Have we done everything we can to support their success? Did the agent have adequate training and coaching? Did the agent have access to the right tools? Did we provide both positive and corrective feedback? Would this agent be better fit for a different client? Would this person work better in sales or support? Your best people will continue to get better. The worst may not. Those in the middle (perhaps most of your CSRs) represent the best opportunity to raise the performance level of the entire call center. Successful managers deliberately devote the most effort to helping middle and low-performers improve. However, once you decide that someone is not going to succeed, take immediate action. Waiting might only make matters worse, and a hopeless agent could bring down the entire team. Firing someone is no fun. When the time comes, be direct and business-like about it, rather than negative. Tell the person why you are letting them go. While you are meeting with them, have their direct supervisor pack the employee’s personal belongings, and then walk the individual out the door. Not having to return to their work station prevents awkward interactions that might occur between the terminated agent and co-workers. When you hire the right people in the right way, you should not have to worry about having to fire people. That is progress — in productivity and peace of mind. In 2017, U.S. contact centers averaged a whopping 60% turnover. This is costly in itself, but coupled with the nation’s extremely low unemployment, it can spell disaster for call centers. Training is one of the most effective ways to retain well-qualified customer service reps. A well-functioning team makes call center management easier in every way. Great training starts with managers who use the right tools and techniques. Successful trainers use a variety of assessment tests and other types of exams to confirm each new person’s skills and knowledge and also to identify gaps where extra training will be required. While testing has value, nothing can replace hands-on practice. Managers help new agents gain confidence during a “nesting” period following initial classroom training. CSRs can begin to take actual calls, on the floor, under direct guidance of a supervisor or an experienced agent. This one-on-one early support shows the company cares about each individual, investing extra time and attention in their success. The No. 1 reason people leave is because they dislike their supervisor, so building trust contributes to retention. Technology (software) training is also crucial for call center success, because comfort with the platform is essential for speed and accuracy. If managers/trainers are not 100% proficient using the call center’s digital tools, it will be very difficult to transfer those skills to their CSRs. Initial and ongoing training that includes a blended learning approach (both online and Instructor led) have proven to give the learner a more well rounded training and higher success rate. A blended learning approach appeals to different style learners and makes training more engaging. Once CSRs go live, a multi-pronged quality assurance program is the best way to monitor performance quality and pinpoint further training needs. Managers can create a scorecard to consistently evaluate as they listen to recorded or live calls. They can sit right next to the agent to provide instant post-call feedback. Or, they can create separate QA teams, so managers and supervisors can remain focused on daily operations and assisting CSRs as needed. New voice analytics technology now enables automated call monitoring. This allows call centers to monitor virtually all calls, with entirely objective results across all key metrics. Clients and customers (and the law) expect call centers to protect private information at all times. Managers must receive training on regulatory requirements and compliance, because CSRs are on the front line of that compliance. For example, The Connection® is PCI certified, meaning we adhere to the stringent Payment Card Industry Data Security Standards developed by the major credit card companies. We are also SOC2 compliant, meaning we submit to detailed audits that confirm our data security protocols meet standards set by the American Institute of Certified Public Accountants. One of the trickiest aspects of call center management is scheduling CSRs. There must be enough agents in place to serve customers well regardless of inevitable volume fluctuations. Overstaffing is a waste of money and resources, since managers are not clairvoyant, success requires tools. Specialized scheduling software is far more accurate and a major time-saver compared to manual spreadsheets. It can identify personnel needs by days and hour blocks. There are standalone scheduling apps, but many comprehensive workforce management platforms have integrated scheduling components. The best technology can store historical data for future analysis and planning. Efficient scheduling requires accurate forecasting. The goal is to reduce the number of variables to predict how many agents will be required at any given time. Forecasting overlays past history (volume patterns) with current needs projections based on overall business growth, planned special promotions, seasonal fluctuations, etc. Workforce modeling tools help synthesize this data, and scheduling software fills in the resulting needs chart. Say “thanks” often. Simple, sincere praise is always appreciated. Call centers that find ways to engage and thank employees enjoy higher productivity and greater retention. And happy employees deliver greater customer experiences. In previous chapters, we talked about certain tech tools that streamline scheduling, general workforce management, and so on. However, today’s call center (and certainly the contact center of the future) must take full advantage of a wide range of new technology options in order to streamline processes, support CSRs, and enhance customer service experiences. Cloud-based omni-channel platform. Customers now use many different devices and channels to make contact and continue the conversation. Only omni-channel technology facilitates that seamlessly. Cloud-based software also allows call centers to hire and manage remote CSRs. Tools that enable customer self-service. Chatbots are already becoming commonplace, filtering calls and answering simple questions or directing customers to the information they need without having to “bother” a live agent. When an agent is required, chatbot-captured customer data is forwarded to move the call forward smoothly. More advanced than a basic chatbot, artificial intelligence (AI) can enhance speed and effectiveness of IVR systems. Those that incorporate speech analytics can do even more, understanding tone of voice as well as words. Frankly, as daunting as staffing issues can feel, the technology challenge may be the greatest. 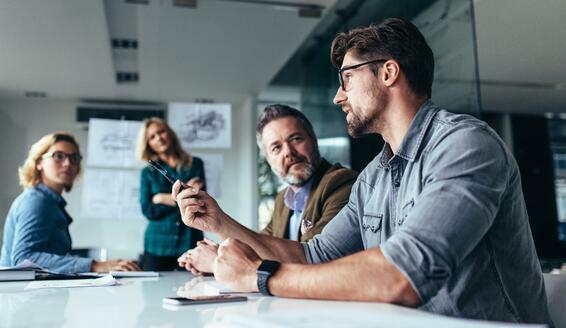 Not only do managers have to stay abreast of every possible new option, they must be able to discern which among them will be a valuable investment. And the need for updating never ends. 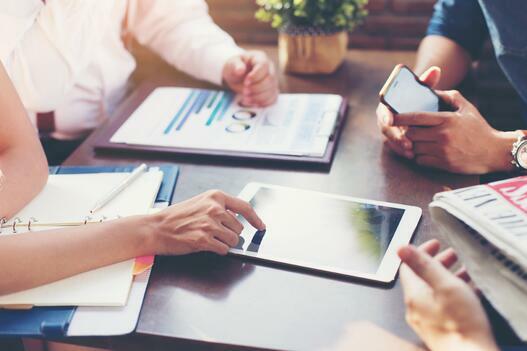 So, for companies still struggling with the frustrations (and expense) of in-house customer contact, outsourcing may be a more beneficial option. What does outsourcing look like? Relationships are everything. Most outsourcing partnerships fail due to relationship problems, not performance problems. Look for a partner where execs are as engaged in your success as customer service reps. Cultural compatibility. A company with a different outlook or CSRs who cannot genuinely reflect your company’s personality likely will not serve you well. Your brand’s reputation is at stake here. Scalability. Growing companies need a call center partner that can grow right along with them, without a hitch. Choose a partner that is too small, and you’ll have to switch. Choose one that is too big, and you may get lost in the crowd. Bottom line benefits. Outsourcing to the right partner can bring better customer service results, but also eliminate countless headaches. Don’t make assumptions. Ask, outright, how each potential partner will handle your call center needs — from recruiting agents and training them as knowledgeable ambassadors for your brand to ensuring maximum customer satisfaction. How will you know they are delivering on their promises? If you would like to know more about how The Connection® can use our call center management know-how and experience to successfully serve your company and customers, give us a call.